Goostrey’s Amy Hext is arranging a concert in memory of her friend Nell. 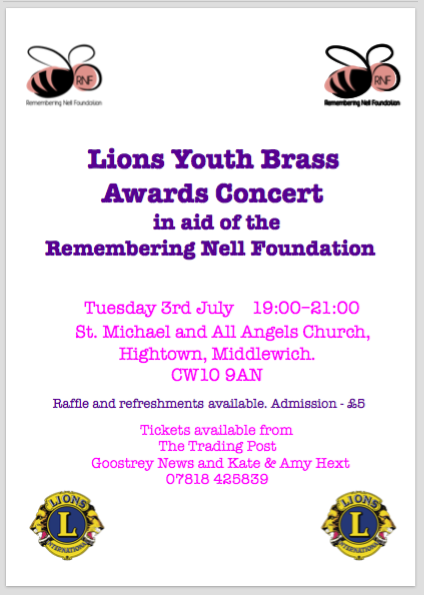 Amy is a member of the Lions Youth Brass Band and they have kindly offered their Awards Concert to Amy as a fundraiser for the Remembering Nell Foundation. This entry was posted in Event, Remembering Nell. Bookmark the permalink.